Warner Bros.' DCEU stand alone adventure The Batman has been in a state of flux lately, with the latest report from earlier this month claiming that Ben Affleck will return as Bruce Wayne in the studio's Flashpoint movie, but, surprisingly, not for the solo outing, which Ben Affleck was at one point set to direct, co-write and star in. While it hasn't been confirmed if Ben Affleck is abandoning this coveted character, a report from earlier this month claimed that Jon Hamm was vying for the Batman role, should Affleck back away. 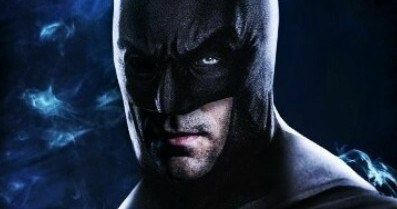 Now we have a glimpse at what Jon Hamm could look like as the Caped Crusader. The artwork comes from digital artist Bryan Fiallos, who put in his own two cents about the potential casting on Instagram, stating that he likes Jon Hamm as Batman, but adding that, "Affleck is just perfect for the role." While that may very well be true, especially considering the praise Ben Affleck has gotten thus far, it will all be moot if Ben Affleck walks away from this project. And if anyone is to replace him, Jon Hamm may be one of the top picks, but he's not the only contender waiting in the wings. We reported in November that The Batman director Matt Reeves' top choice for Batman is Jake Gyllenhaal, but there was also another report that claimed the studio wasn't too sure about him taking over. There was also another report earlier this month that claimed the failure of Justice League at the box office has lead to a "major shake-up" at DC Films, with Jon Berg, who served as the head of DC Films, leaving his post to become a producer with Roy Lee (IT, The LEGO Movie), as Geoff Johns remains aboard as chief creative officer. The studio is actively looking for Jon Berg's replacement. It remains to be seen how this "shake-up" will directly affect The Batman, and/or Ben Affleck's possible plans to leave the franchise as a whole. Another report from September claimed that The Batman will start shooting in Summer 2018, but that was never confirmed, and if the production needs to look for a new leading man, that may delay the production process by a considerable amount. Warner Bros. hasn't set a release date at this time, but if production does start this coming summer, it's possible that it could be ready for either of the 2019 dates that Warner Bros. has staked out, on April 5, 2019, June 14, 2019 or November 1. While it was originally believed that the studio would release Shazam! and Justice League 2 on those dates, Justice League 2 wasn't a part of the studio slate revealed at Comic-Con Experience Brazil, and while production will begin early next year on Shazam!, no release date has been confirmed. The studio also has four dates staked out for 2020 (February 14, 2020, April 3, 2020, June 5, 2020 and July 24, 2020), so it could be slated for any of those dates as well. When director Matt Reeves came aboard, the filmmaker was said to have scrapped Ben Affleck's script, which Affleck co-wrote with DC Films' Geoff Johns, starting the script over from scratch. It isn't clear how far along on this new script Matt Reeves is, or how this story may be different than the original script by Ben Affleck and Geoff Johns. While we wait for more on The Batman, take a look at this new artwork, courtesy of Bryan Fiallos Instagram.